Nature’s ABC’s / nā-chər ay bee sees / n. sense-based biological literacy workshops that lead to familiarity of place and nature’s cycles. Coming soon for pre and beginning readers. 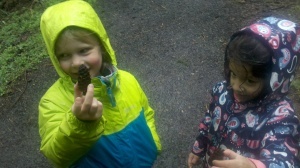 Contact saturdayacademy.org to schedule an after-school class for grades 2-8 with Reading Nature in Portland, Oregon.